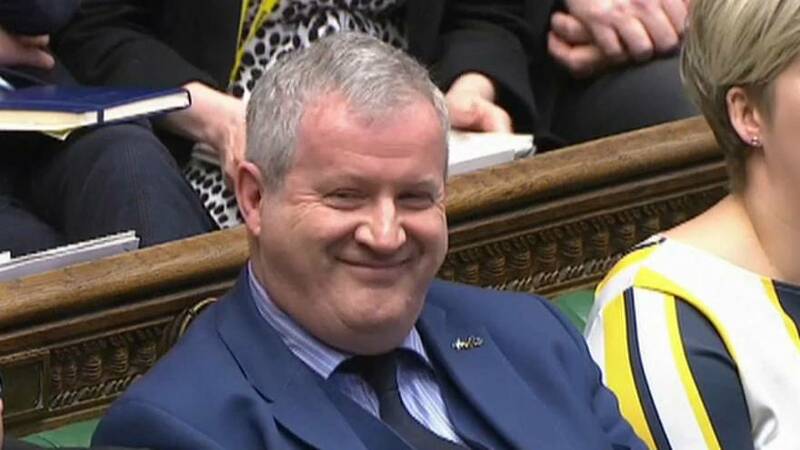 Scottish National Party MP Ian Blackford sparked an impromptu round of the "Yes or No game" in the House of Commons on Thursday. It came as British Prime Minister Theresa May faced Parliament after it was announced EU leaders had agreed a six-month extension to Article 50 at the Brussels summit. The game usually requires players to answer questions without responding "yes" or "no" — using these answers would see them disqualified. However, Blackford turned it on it's head challenging May to answer his questions, saying "a simple yes or no will suffice" in response. "Has your government offered a second EU referendum in talks with the Labour Party — yes or no?" came the lawmaker's first question. "Has the Labour Party requested a second referendum in the talks — yes or no?" he probed, adding: "Is the Labour Party cosying up to the Tories asking to end freedom of movement as a price for their support for a Tory deal?" Blackford's supporters chimed in shouting "yes or no" after each interrogation. His final question was more involved: "Will the prime minister recognise that she cannot fix this mess alone, stop ignoring the people of Scotland, open up meaningful discussions with the devolved governments?" Blackford also claimed that there was enough time to hold a second referendum on Brexit, given there were 204 days until the new deadline. He gave the example of the 1997 general election and the devolution referendum in Scotland between which there were 133 days. Not to be beaten, May hit back with her own question for the SNP MP: "If he (Blackford) is so interested in referenda ... will he now abide by the result of the 2014 Scottish referendum — yes or no?" The SNP stands for Scottish independence but 55.3% of citizens voted against it in 2014. Blackford responded with a laugh.